Marion Ravenwood. "Throw me the idol, I'll throw you the whip!" Indiana Jones' adventures have covered the whole world and involved dozens of mysterious artifacts more valuable than life itself, and now Hasbro celebrates this movie series with Action Figures! Each figure includes a special bonus "artifact" relic right from the movies. Collect them all! 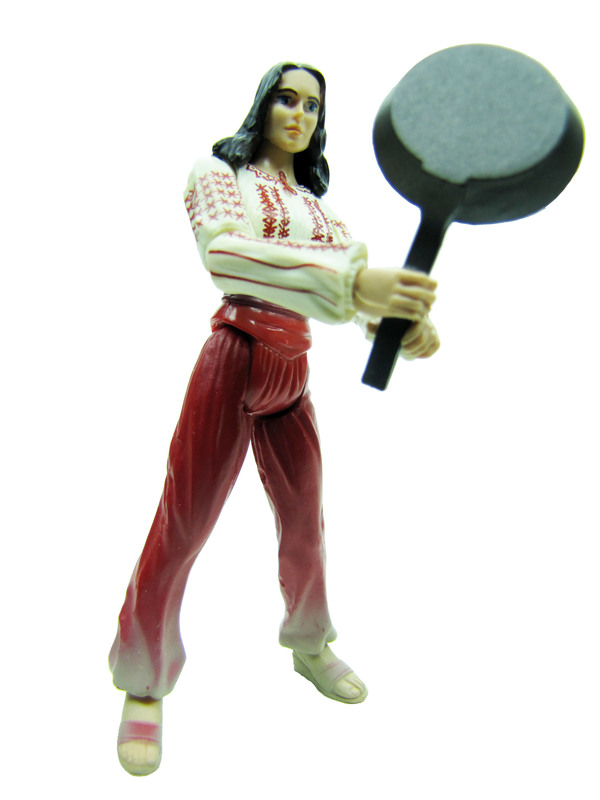 Marion Ravenwood comes with a weapon, pan and a hidden relic!